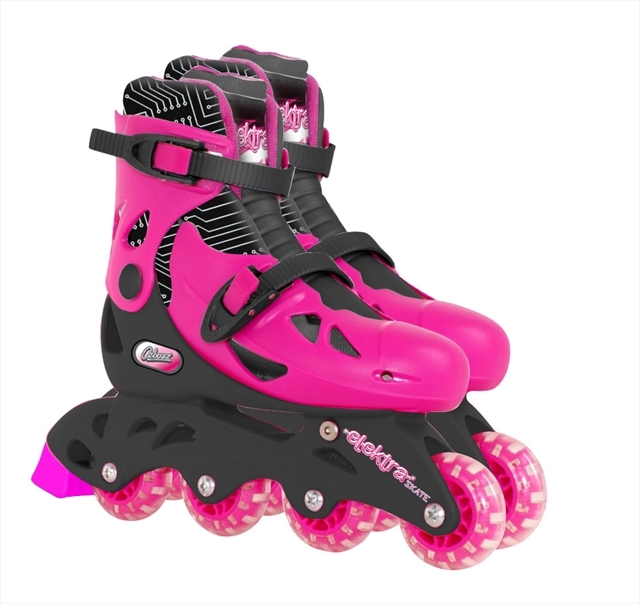 This entry was posted in Reviews and tagged adjustable, childrens, Elektra, girls, inline skates, ozbozz, pink, skating by Fiona Martin. Bookmark the permalink. She looks very pleased with herself. 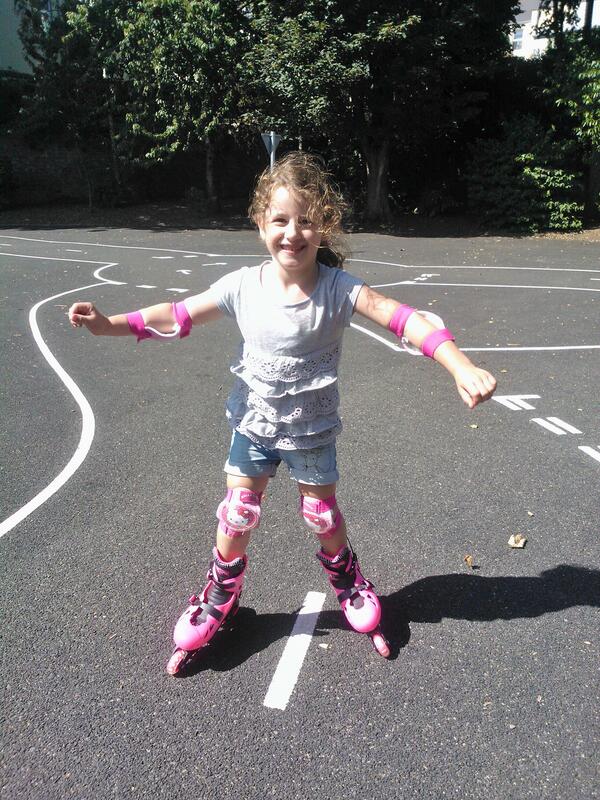 I loved my inline skates! She loved it – I was really impressed with her first attempt! She looks like she is having lots of fun with these and I love the colour! Little Mr A has some tri-line skates but he’s not getting on too well with them at the moment! These look great! we go skating every week, its my only form of keep fit! Haven’t been skating myself for years – sounds like a great way to keep fit though! Lovely review and photos! My girls would love a pair each! Your daughter did very well at skating!